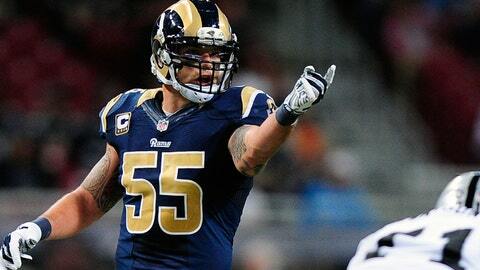 Linebacker James Laurinaitis expects a tough test from the Browns on Sunday. When the Cleveland Browns come to town Sunday, the St. Louis Rams won’t be thinking a 2-4 squad is on the opposing sideline. That point was driven home this past weekend when the Browns took Peyton Manning and the undefeated Denver Broncos into overtime before losing 26-23. Cleveland won at Baltimore the previous week and has had three straight games decided by three points. The Rams are coming off their bye after falling at Green Bay 24-10 on Oct. 11, marking the third time in five games they have scored 10 points or fewer. St. Louis plays three of its next four games at home while facing only one opponent with a winning record over the next five weeks.